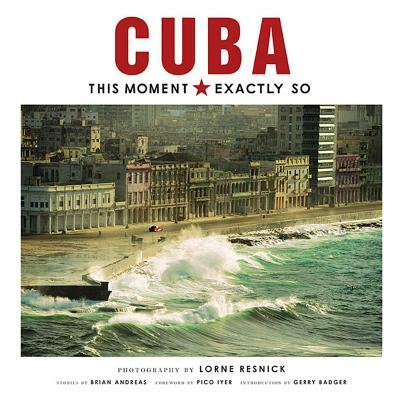 Award-winning photographer Lorne Resnick showcases the beauty and vibrancy of Cuba in stunning images captured over twenty years. Featuring 250 extraordinary color and black-and-white photos, Cuba: This Moment, Exactly So provides a stunning portrait of the vitality of Cuban culture, the beauty of the island and the enduring spirit of the Cuban people. Organized around thirty micro stories (printed on transparent vellum) by Pulitzer Prize nominated author Brian Andreas, and featuring a foreword by celebrated author Pico Iyer and an introduction by noted art critic Gerry Badger, this deluxe coffee-table book provides an immersive experience that combines gorgeous visuals, poignant stories and lavish production values. This book has won several awards including: a gold medal in the photography category from the Independent Publishers Book Awards, Silver medal from the IBPA Benjamin Franklin Award for Art/Photography, 1st place for Books in the International Photography awards and was a Foreword Reviews’ 2015 INDIEFAB Book of the Year Award winner.